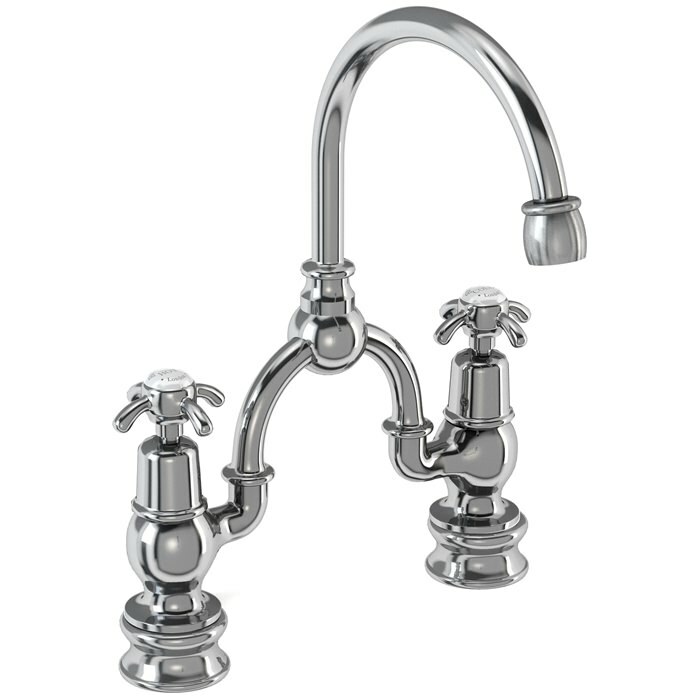 The Burlington Regent 2 Tap Hole Arch Basin Mixer with its classic design featuring ornate and skilled craftsmanship makes a striking statement in the bathroom. 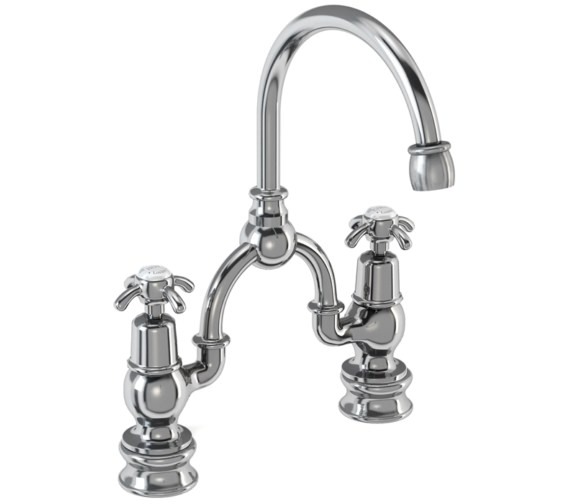 The pleasing arrangement consists of 2 traditional style handles and a curved central spout. 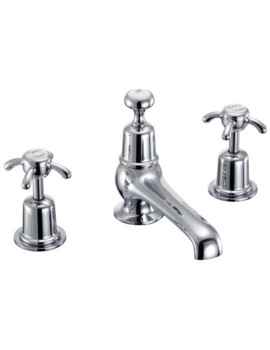 The regent base gives the taps a ridged, elevated and charming appearance. 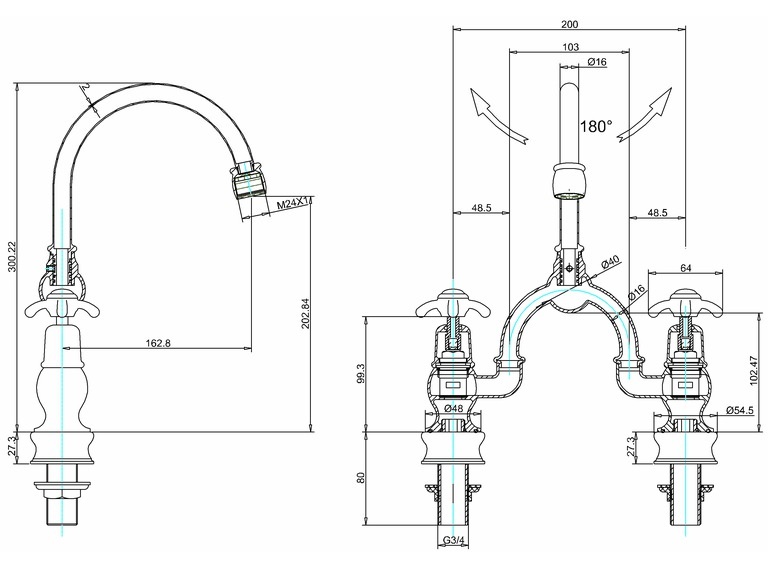 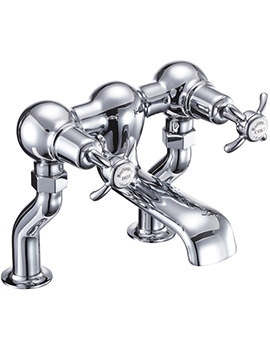 It is supplied with two water-saving devices - A flow straightener for use with low water pressures and an aerator for use with high water pressures. 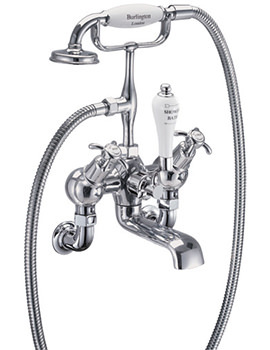 It is crafted from solid brass that gives this mixer strength and durability. 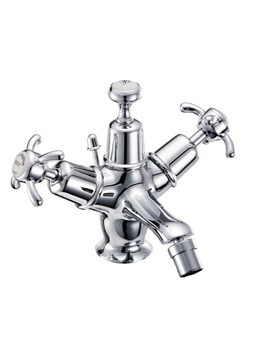 It is covered in a brilliant chrome finish that enhances the vintage style of this tap.